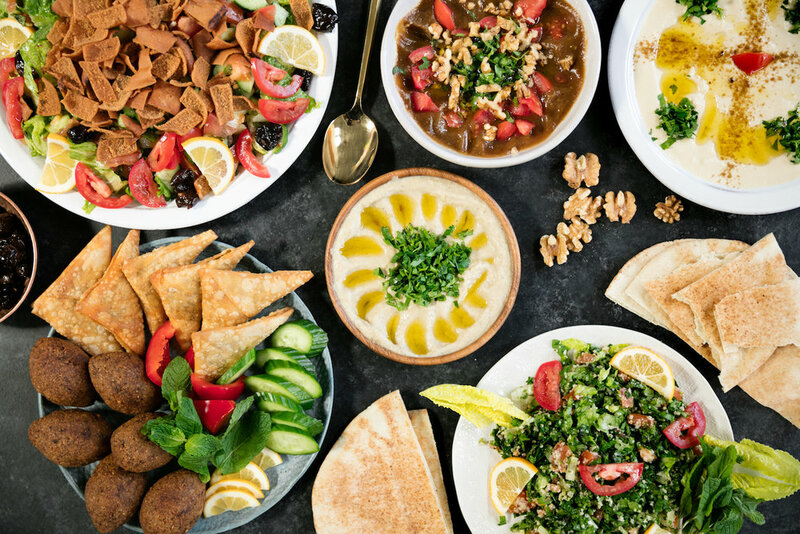 A family-run catering business serving authentic and traditional Syrian food. Crisp, stuffed croquettes. A classic Levantine dish. For a traditional meal, serve with Adas (lentil) soup. Fried samosa filled with a mix of ground beef, walnut, onion, almonds, and a mix of middle eastern spices. Grilled eggplant, stacked with a savory sauce of garlic, parsley and tahini. Grilled eggplant mixed with walnut, red pepper, garlic, parsley, olive oil, and pomegranate molasses. Chickpeas with tahini and lemon. A middle eastern salad of cucumber, tomato, lettuce, onion, garlic, mint, olive oil, Apple vinegar, and fried pita. A classic, creamy soup of red lentils, carrot, potato, salt, black pepper, cumin, ginger and turmeric. Smoked Basmati rice, cooked with a great mix of middle eastern spices in addition to beef, and almonds for toppings -Served with a special sauce. A mix of lentils and noodles cooked in pomegranate molasses, onion, lemon juice, olive oil, topped with fried pita, garlic and cilantro. Layered eggplant and tomato dish with curry spices. Meatballs cooked with tomato sauce that is full of middle eastern spices, in addition to bay laurel leaves. Grape leaves or zucchini stuffed with rice, parsley, tomato, onion, pomegranate molasses, and mint. Freekeh cooked with spices, with meat and almonds as toppings. Served with homemade yogurt salad. Green beans cooked with tomato, olive oil, garlic, and coriander. Advance notice of 1 week preferred. Delivery available at a fee. Please email us or call (415)-702-0177 to inquire. Rawaa Kasedah, her husband Mohammed Aref Rawas, and their four children first arrived in the United States in 2015. 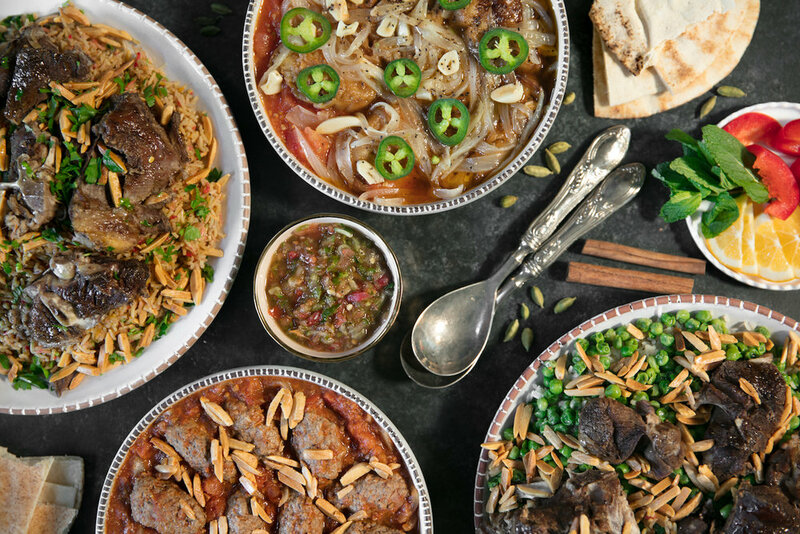 Originally from Damascus, Syria, making delicious food comes naturally to this family. 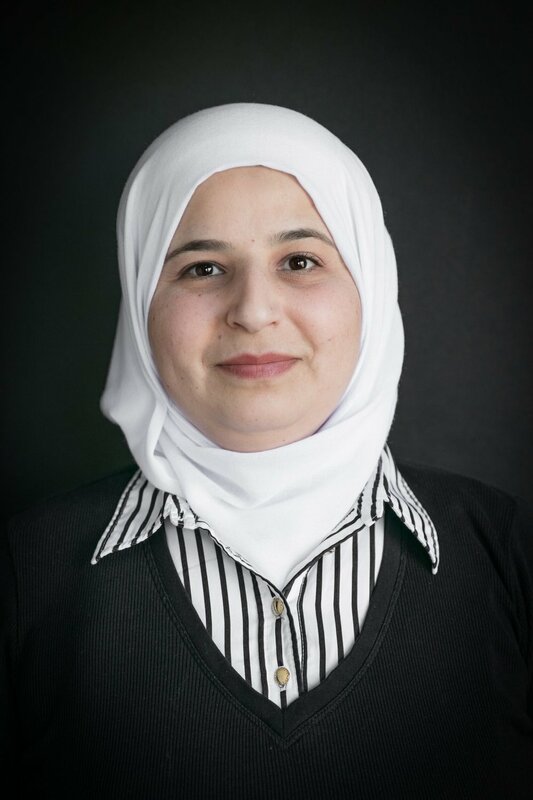 Learn more about how Rawaa and her family started Old Damascus Fare here.